The album was recorded in Lake Havasu, AZ in 120 degree weather. The sun visor on my car melted one day in the scorching heat. 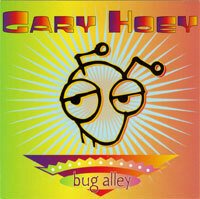 The title Bug Alley was the name of an auto repair garage where I rented a room to write the album. It’s also where I first hung with Brian Setzer.